Tall Ship “Zodiac”, a photo by EdBob on Flickr. Nothing compares to writing a good scene (except for maybe meeting a new character who seems to appear out of nowhere.) It feels like that moment when you pull your winter coat on knowing you can’t fight it any longer, you have to admit that the summer is over. You explore this old trusted friend. You stretch your arms, zip the zippers and place your hands in the pockets. And then . . . the magic happens. There’s something in that pocket. You don’t even dare to wonder or hope, you just pull it out. There it is, lying in your hand . . . a $20 bill. The memory of putting the money in that pocket stored so deeply in your brain it’s almost as if somebody else had put it there, just for you. A surprise for yourself. After I write a scene that I find particularly interesting or exciting I sit back and wonder where it came from. Did I really write that? It almost seems too good. A surprise for myself. On a day like that nothing can go wrong, even when everything does. But the majority of writing is slogging through days when writing is sometimes painful. You wonder if it’s worth it to continue. Your characters are annoying; your plot line flat and full of cliches. It’s something that most, if not all, novelists go through. It’s the Middle, that part, or what I call, the Doldrums. The Doldrums, that part of the ocean near the equator where the winds are calm, trapping ships and their mariners, for days and weeks at a time. The writing Doldrums are much the same. The winds of creativity are calm, sometimes seemingly dead. I continue to press the computer keys or scribble on the paper, but the words don’t take me anywhere. I am trapped. Cabin fever sets in. The symptoms “include restlessness, irritability, paranoia, irrational frustration with everyday objects, forgetfulness, laughter, excessive sleeping, distrust of anyone they are with, and an urge to go outside even in the rain, snow or dark.” Admittedly not much different than my usual behavior, but that I blame on all of the extroverts who are constantly trying make small talk with me. During the Doldrums writing a novel goes from the most divine experience imaginable to the worst form of torture. I’ve been stuck in the Doldrums for about a week but I keep going because I know, deep down inside, that there is more money hidden in those coat pockets and the winds of creativity will begin to blow again . . . right about the time I’m about to walk the plank into shark infested waters, by choice. 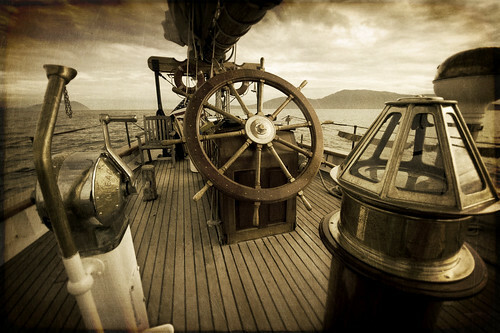 The winds are gently rustling my sails, not steadily, but it’s getting better. My protagonist forgot that her actions are driving the story. She was a spectator for a while, but she’s moving now. The most important thing that I’ve learned in the past week is the etymology of Doldrum is derived from an archaic word, dol, which means, foolish or stupid. The Doldrums. Stupid indeed. Nice post, and good luck with NaNoWriMo! I’m sure you’ll get there in the end! Go, Tara, go- only 4775 to go!!!!!!!!!!!!!!!!!!!!!!!!!!!!!!!!!!!!!!!!!!!!!! !